Your child’s myopia (short sightedness) may depend on what you do for them right now! The best time to start acting so as to nip this epidemic in the bud, is when the child is still young. Current research is showing that there are indeed ways, and methods that can slow or prevent the progression of myopia. Treatment does not reverse or make better any myopic changes, as they tend to be permanent and in some case progressive too. The aim of the treatment should be to prevent the development and progression of the myopia. This means that the eye examinations of children should start at a very early/young age. Yearly exams should take place when the child is about 5 years old. Having said this, there can be no certain guarantee that any particular treatment will be effective for a particular individual, but the price for not trying to do something when there’s an opportunity to influence the future development of myopia, can be quite high, as the benefits of starting early are lost for good. 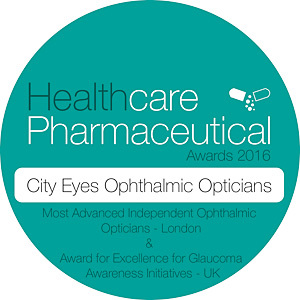 At City Eyes Ophthalmic Opticians, we are actively involved in myopia control in young children and adults, by first of all carrying out an in depth assessment of the health and function of the eyes. Depending on the age of the child, family history, the health and on the prescription, we then tailor make a treatment programme for the individual person, with the aim of either slowing down the escalating myopia, controlling it, or where possible preventing it by taking remedial action, and offering advice to the young person or adult. We do not guarantee the results, as this can depend on many factors, nor do we make any promises. The bottom line is that prevention is better than cure, and action is better than inaction. Alternatively, fill in your details so that we can send you further information.